Containing essays by an array of top international scholars, this new book provides a comprehensive analytical critique of the current state of research in the terrorism and counterterrorism studies field, what it has substantively achieved over the years and where it should be heading in the future. Offering an overall examination of research achievements and gaps in scholarly efforts towards understanding terrorism as a complex behavioural and social phenomenon, it also assesses various research approaches into counterterrorism studies, clearly identifying a pathway for prioritized future research agendas in the field. This future research agenda is further enhanced by the provision of an appendix containing 444 identified research topics developed by the United Nations Terrorism Prevention Branch. 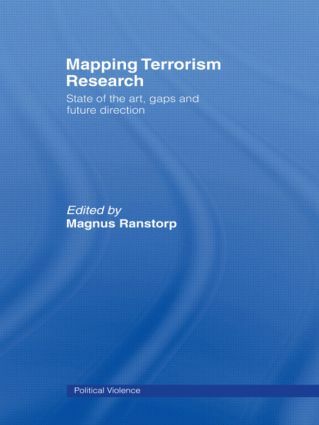 Mapping Terrorism Research builds a cohesive, interdisciplinary and high-quality research agenda in terrorism and counterterrorism for future generations of academic students, scholars as well as practitioners, and will appeal to students of terrorism studies, political science and international relations.